The bible remains God's living word. It's His salvation story and its pages provide life and sustenance for us. As we invite the Holy Spirit to help us, He always breathes fresh life and revelation - even when we have read passages again and again. We can cultivate a hunger for God's Word which helps us to build our lives on strong foundations and to overflow with life from it. There are important ways to interpret the bible and as we do, we find God speaking directly in to our lives. 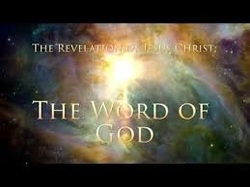 God's Word has been un-scrolled in both the Scriptures and in His incarnate Son - Jesus Christ. Jesus, in describing the importance of the eternal scriptures said, 'Man shall not live by bread alone but by every word that proceeds from the mouth of God' (Matthew 4:4). He also commended the steadfast inquiry into the Word of God: 'Search the scriptures...they...testify of Me' (John 5:39). There is no such thing as health or growth in Christian living apart from a clear priority on the place of the Bible in the life of the individual or the group. The scriptures are the conclusive standard for our faith, morals and practical living, and are the nourishment for our rising to strength in faith, holiness in living, and effectiveness in service. The Holy Spirit who comes to fill us is the same Person who has give us the Book to guide and sustain us. Interview with David Bunney (17th April 2016) including more on his facebook request for help on What single page / passage from the bible would communicate the beauty and power of Christianity to the uninitiated.